Never heard of Floric? 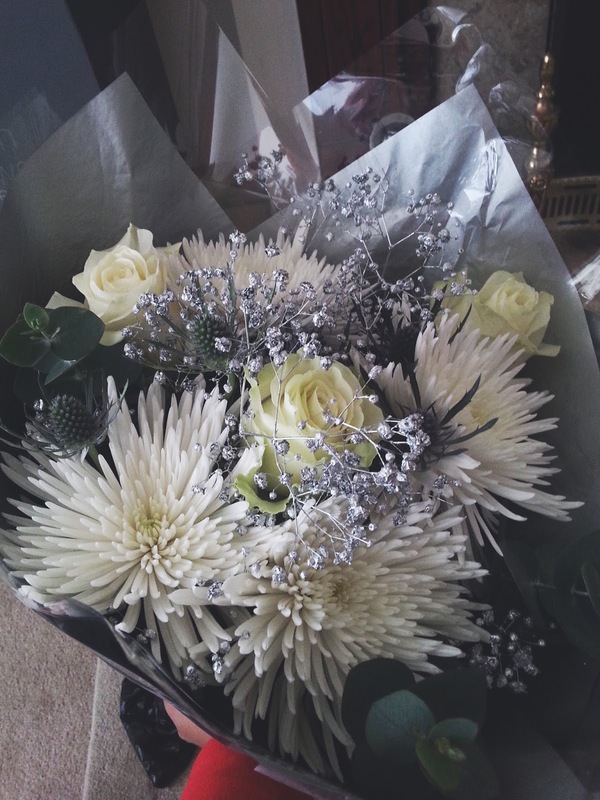 Well, Floric are a business that supplies you with flowers that express the emotions that you want and there is such a huge selection for you to choose from that you might be stuck but this post might just steer you towards this beautiful white bouquet! At the moment they have a range of Christmas Flowers that have been so carefully put together that they suit anybody with any particular taste - sticking with the traditional colours of red,gold,white and green there are flowers for everyone and you need to check the site out to order yourself one or even treat someone as a present! Who said that flowers aren't for the winter time? I think that having a beautiful bouquet of flowers all year round really opens up a room and makes it seem like a brighter, happier and a more fun place to be! In winter though, I don't think that we should have neon coloured flowers in December, I mean seriously? But the wintery colours are acceptable - I'm talking reds, whites and those frosty ones! Basically, I am talking about this Jack Frost Bouquet* the perfect winter flower arrangement that is perfect in your living room near your christmas decorations! The Jack Frost Bouquet is by far my favourite! 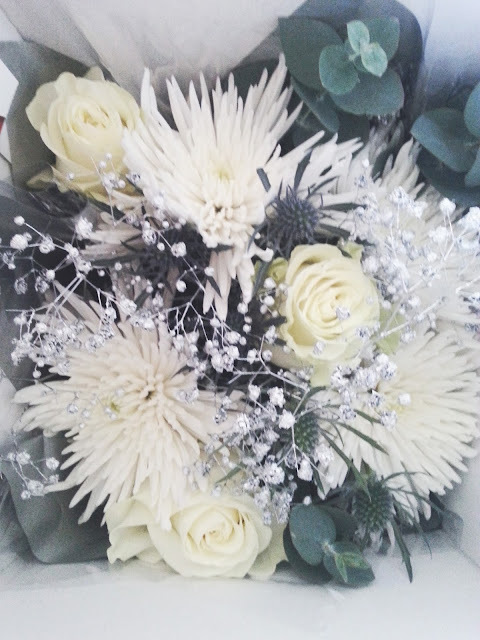 Filled with Chrysanthemums, Roses, Eucalyptus, Eryngium and glittered Gypsophila they all add a little Christmas sparkle. It feels amazing to know that the florists at Floric have carefully picked out the flowers for this arrangement and have trimmed, and placed them in such a beautiful way to then come to my doorstep. It is the perfect treat for any one and especially at this time of year! 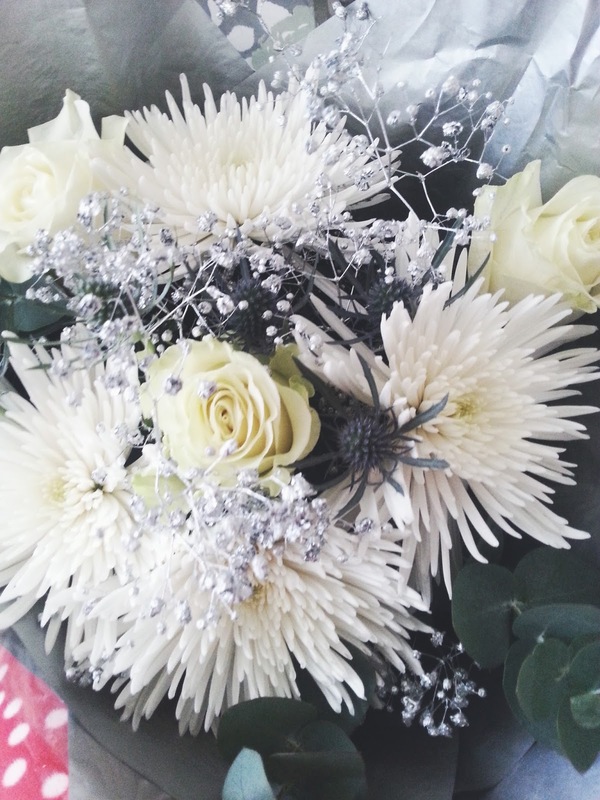 Be sure to check FLORIC out and buy someone special a beautiful flower arrangement this Christmas.